Let’s let Josie know she’s worth getting to know! You are cordially invited to celebrate Josie’s 24th birthday party with her. There is no admission cost to Josie’s party, enjoy the food, drinks, and birthday cake, however, all that attend will be able to purchase a discount deluxe ride bracelet for $10. The deluxe ride bracelet provides unlimited midway rides from 12 till 7 PM, and a roller skating session with conventional skates. Celebrate Josie’s birthday and stay as long as you want after to enjoy Oaks Amusement Park! 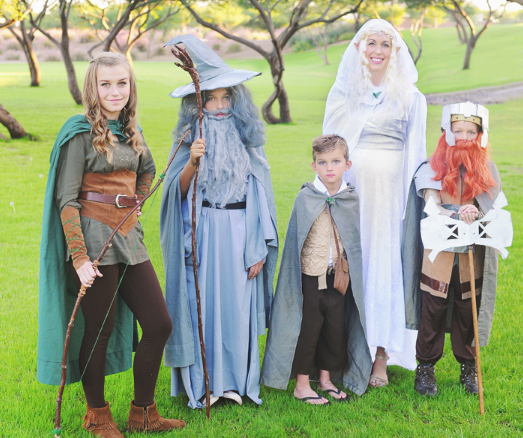 Josie loves Lord Of The Rings and is requesting a LOTR costume party. Optional if you want, show up in your favorite LOTR attire! We are looking to raise 275 towards basic party supplies and a quiet sensory area that’s away from the excitement, in case Josie or any of the attendees with sensory processing disorder gets overwhelmed. Every dollar helps and any money over our goal can also go to help others in need of support. Please contribute here. 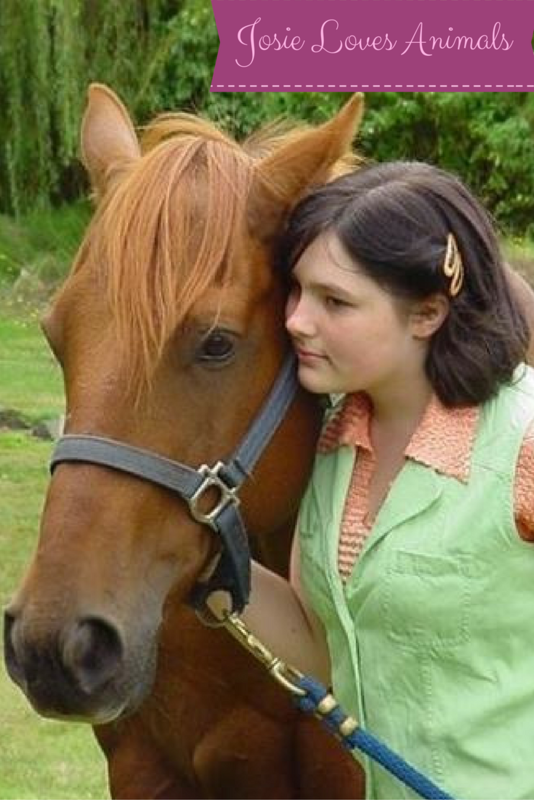 Josie was born with a rare progressive connective tissues disorder called Ehlers Danlos syndrome, and autism. However the only thing on her mind right now is her upcoming 24th birthday. This year, like all others, she just wants to celebrate with a big party full of friends and family. Unfortunately, since she’s started school, no matter how many people she invited, only her mom and grandparents, and an occasional cousin or friend of her mother attended. 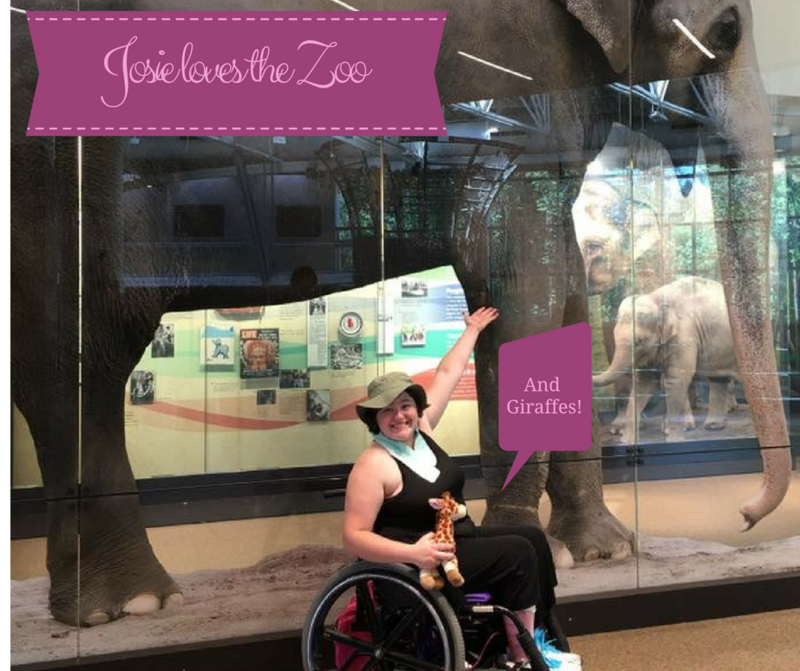 Josie is also wise beyond her years, and doesn’t let her disabilities stand in her way. She is an avid artist, animal lover, creative dreamer and outdoor enthusiast. 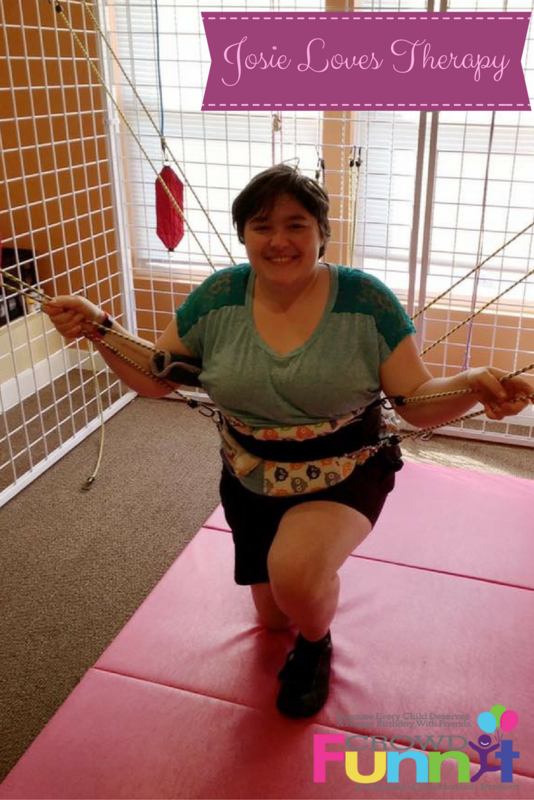 She lends her voice in support of all people with disabilities, educating people on what it’s like for her and others, hoping they can see past differences by bringing awareness to life with a disability. She says, “I like being autistic because it means I see things non-autistics never see. But at the same time it means that I’m not like most people which makes people not want to be friends with me. They can’t see past my differences which is such a shame really because the most amazing people I’ve met are the people who, like me, are different. I game online because when you play games online people tend to look past differences and focus on just having fun. In the same vein, even though autism has affected some of Josie’s communication skills, her iPad communication program Speak For Yourself ACC assists her in communicating with others from time to time when she gets overwhelmed or is in a large crowd. 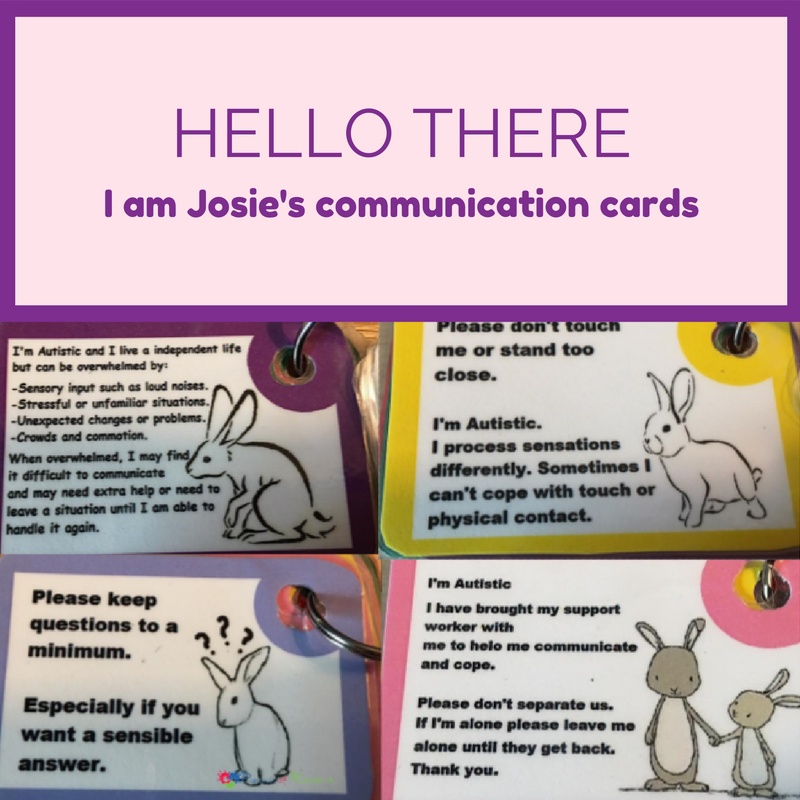 Josie also uses communication cards she has made up to share when people are sometimes rude to her in public because they don’t understand her. She makes communication cards for others that need them too. Josie was nominated by Laura Wolfenson, a RISE Family Services Coordinator, to crowdFunnit, a project of the nonprofit Cherab Foundation. 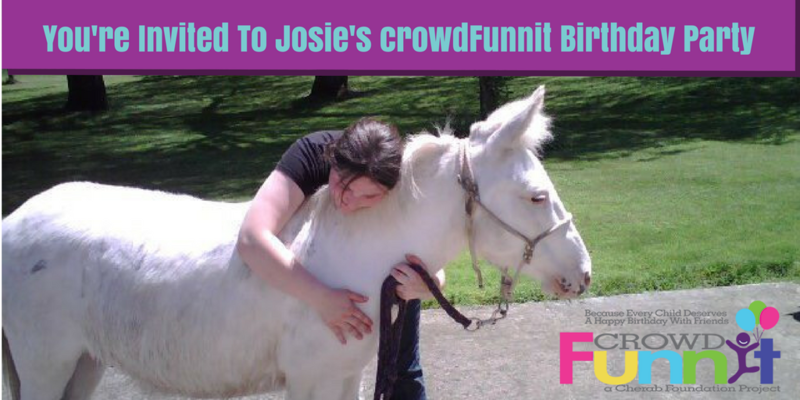 crowdFunnit helps to bring awareness about differences to those that are bullied or alienated, while fostering acceptance, compassion, and friendship through open-invite birthday parties. 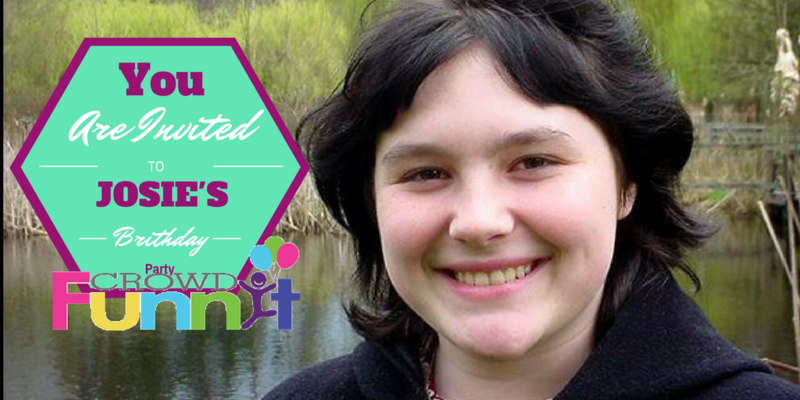 Our program typically only goes up to 18 but we were so touched by Josie’s story we just had to make an exception. We hope to throw Josie the party of her dreams, and for her to receive a new gaming computer, in front of a crowd of well-wishers is a memory that will dissolve all those disappointing birthdays, when no one showed up. As one who is more comfortable offering help than taking it, Josie’s remarkable nature and big heart will leave an impression on you because she represents what’s good in our world. News on Josie’s party from ABC station KATU! 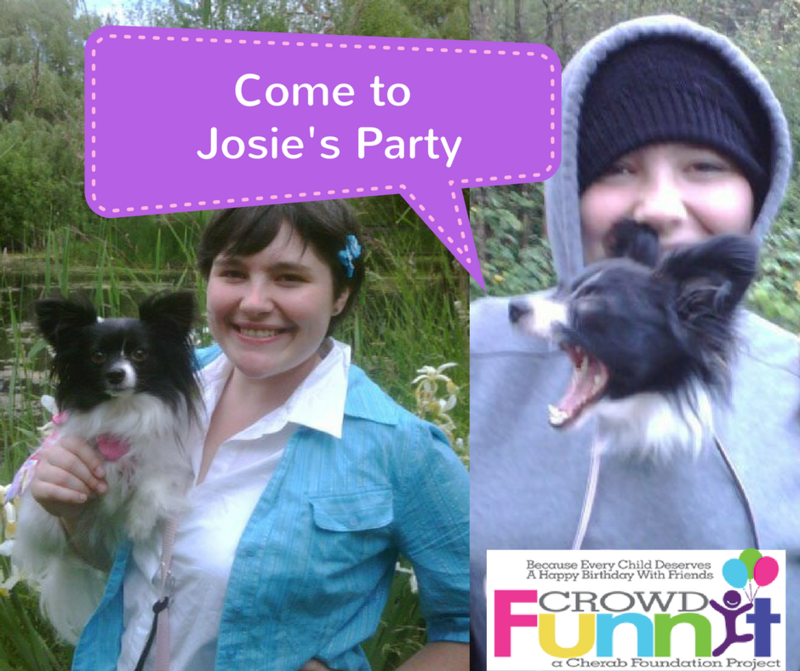 News on Josie’s party from a local paper -the Willamette Week! Together we can help Josie enjoy the simple pleasure all children deserve, but that she only dreams of experiencing, a happy birthday with friends. You and your family are invited to help make this dream come true. For those that are not able to attend, Josie loves receiving and opening mail. She loves when her mom and grandmother mail her birthday cards instead of handing them to her, because those are typically the only two cards she gets each year on her birthday. We are hoping that this year she’ll get a few more. You can mail birthday cards to Josie Eugenie through her service coordinator Candice Gage who works for Clackamas County Developmental Disabilities. If you would like to send a gift, Josie’s favorite colors are purple, light blue and light pink. You can find her Amazon “wish list” here and you can also mail them to Josie in care of her service coordinator Candice Gage. Happy Birthday Josie! From Ayden Carter and his family, crowdfunit is an amazing organization and we are so happy you get to have this awesome party! We wish we were close enough to come because it sounds like it’s going to be a blast! 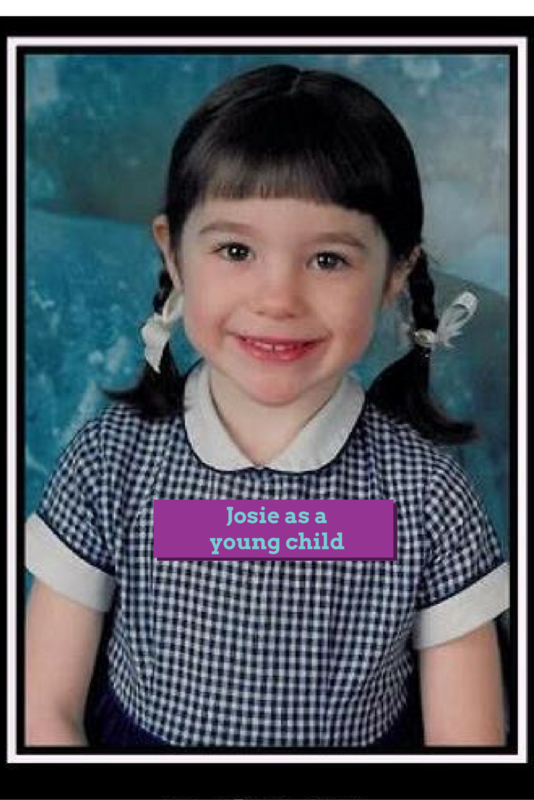 We are all virtually rooting for you Josie! We love having you as part of our Minecraft community, and wish you the best birthday party ever! Hoping to bring a small group of people if just be to say Happy Birthday. Happy Birthday Josie! Hope you have a great time. We have a support group that meets once a month for people with EDS. Hope you can make it some time. Its called the Oregon Area Ehlers-Danlos Support Group and we are also on Facebook – look for the “OFFICIAL” Oregon Area Ehlers-Danlos Support Group. We had a great time at your party. It was lovely to meet you. I hope you had an awesome time.